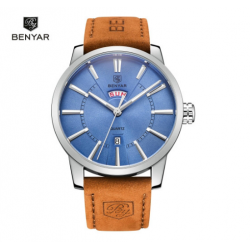 Style: Business, Casual Brand: BENYAR Gender: Men Movement: Quartz Dial Display: Analog Function: Auto Date, Stop Watch Watch Band Material: PU Dial Window Material: Glass Case Shape: Round Case Material: AlloySize:(Approximate)-Dial Diameter:46.5mm-Band Width: 21.5mm-Band Length:224mm-Case Thicknes.. 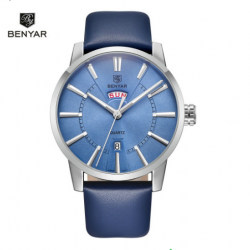 Style: Business, Casual Brand: BENYAR Gender: Men Movement: Quartz Dial Display: Analog Watch Band Material: PU, silicone Dial Window Material: Glass Case Shape: Round Case Material: AlloySize:(Approximate)-Dial Diameter:46.5mm-Band Width: 21.5mm-Band Length:225mm-Case Thickness:14mm-Weight:73g/pcs.. 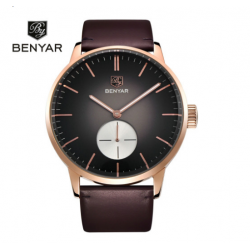 Style: Business, Casual Brand: BENYAR Gender: Men Movement: Quartz Dial Display: Analog Function: Auto Date Watch Band Material: PU Dial Window Material: Glass Case Shape: Round Case Material: AlloySize:(Approximate)-Dial Diameter:42mm-Band Width: 20mm-Band Length:220mm-Case Thickness:11.8mm-Weight:.. 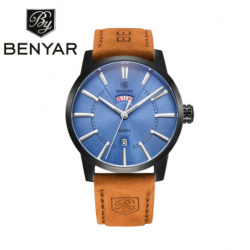 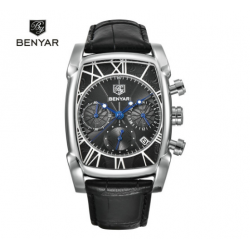 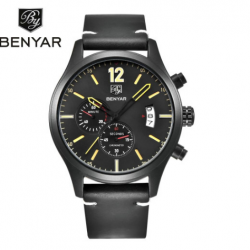 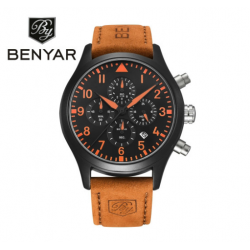 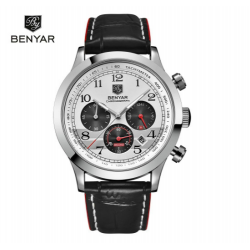 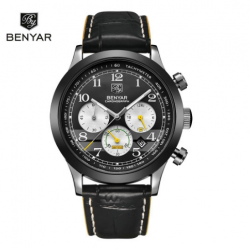 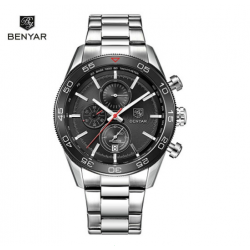 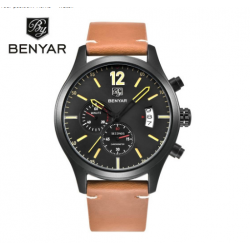 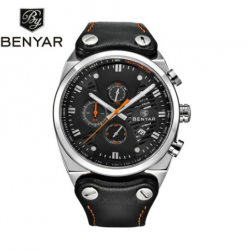 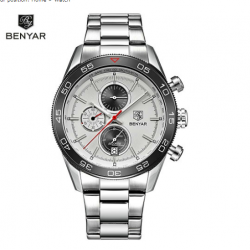 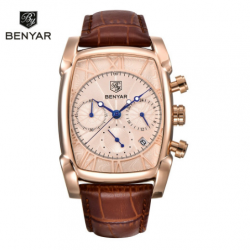 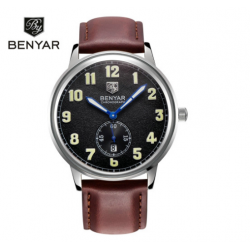 Style: Business, Casual Brand: BENYAR Gender: Men Movement: Quartz Dial Display: Analog Function: Week Display, Auto Date Watch Band Material: PU Dial Window Material: Glass Case Shape: Round Case Material: AlloySize:(Approximate)-Dial Diameter:43.2mm-Band Width: 21.8mm-Band Length:225mm-Case Thickn.. 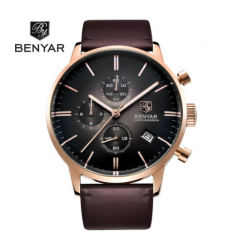 Style: Business, Casual Brand: BENYAR Gender: Men Movement: Quartz Dial Display: Analog Function: Week Display, Auto Date Watch Band Material: PU Dial Window Material: Glass Case Shape: Round Case Material: AlloySize:(Approximate)-Dial Diameter: 47mm-Band Width: 21.8mm-Band Length:220mm-Case Thickne.. 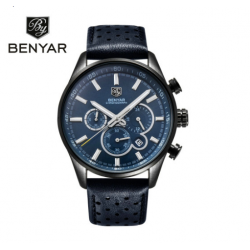 Style: Business, Casual Brand: BENYAR Gender: Men Movement: Quartz Dial Display: Analog Function: Auto Date, Stop Watch Watch Band Material: PU \Dial Window Material: Glass Case Shape: Round Case Material: AlloySize:(Approximate)-Dial Diameter:45.4mm-Band Width: 21.8mm-Band Length:235mm-Case Thickne.. 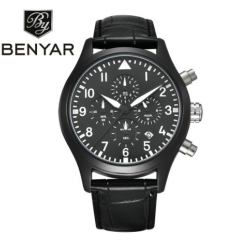 Style: Business, Casual Brand: BENYAR Gender: Men Movement: Quartz Dial Display: Analog Function: Auto Date, Stop Watch Watch Band Material: PU Dial Window Material: Glass Case Shape: Round Case Material: AlloySize:(Approximate)-Dial Diameter:45.5mm-Band Width: 22mm-Band Length:235mm-Case Thickness:.. 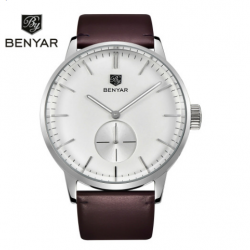 Style: Business, Casual Brand: BENYAR Gender: Men Movement: Quartz Dial Display: Analog Function: Auto Date, Stop Watch Watch Band Material: Stainless Steel, PU Dial Window Material: Glass Case Shape: Round Case Material: AlloySize:(Approximate)-Dial Diameter:44mm-Band Width: 22.7mm-Band Length:230m.. 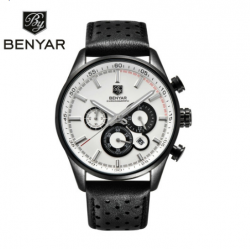 Style: Business, Casual Brand: BENYAR Gender: Men Movement: Quartz Dial Display: Analog Function: Auto Date, Stop Watch Watch Band Material: PU Dial Window Material: Glass Case Shape: Round \Case Material: AlloySize:(Approximate)-Dial Diameter:46mm-Band Width: 22mm-Band Length:220mm-Case Thickness:1.. 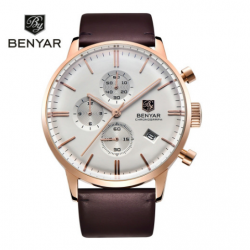 Style: Business, Casual Brand: BENYAR Gender: Men Movement: Quartz Dial Display: Analog Function: Auto Date, Stop Watch Watch Band Material: PU Dial Window Material: Glass Case Shape: Round Case Material: AlloySize:(Approximate)-Dial Diameter:47.7mm-Band Width: 21.8mm-Band Length:230mm-Case Thicknes.. 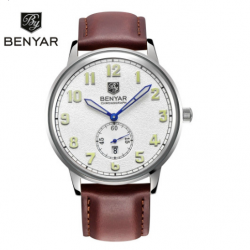 Style: Business, Casual Brand: BENYAR Gender: Men Movement: Quartz Dial Display: Analog Function: Auto Date, Stop Watch Watch Band Material: PU Dial Window Material: Glass Case Shape: Round Case Material: AlloySize:(Approximate)-Dial Diameter:46.2mm-Band Width: 26.5mm-Band Length:225mm-Case Thicknes.. 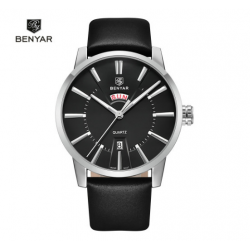 Style: Business, Casual Brand: BENYAR Gender: Men Movement: Quartz Dial Display: Analog Function: Auto Date, Stop Watch Watch Band Material: PU Dial Window Material: Glass Case Shape: Rectangle Case Material: AlloySize:(Approximate)-Dial Diameter:41.7mm-Band Width: 22mm-Band Length:230mm-Case Thickn..